"The Canary Islands are well represented on many websites,but the best source for information was the DK Eyewitness Travel Guide site (www.traveldk.com), which we used all the time." The ideal travel companion, full of insider advice on what to see and do, plus detailed itineraries and comprehensive maps for exploring these beautiful and diverse islands. 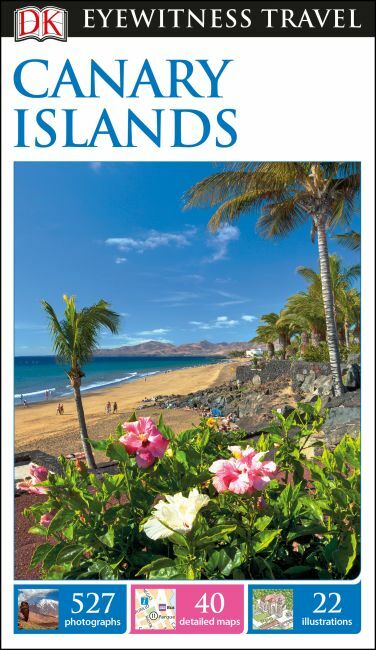 Whether you want to relax on Fuerteventura's sandy beaches, hike along lush mountain trails on La Palma, explore the historic town of Las Palmas on Gran Canaria or ride a cable car to the top of Tenerife's Teide: everything you need to know is clearly laid out within colour-coded chapters. Discover the best of the Canary Islands with this indispensable travel guide. DK Eyewitness Travel Guide Canary Islands is a detailed, easy-to-use guide designed to help you get the most from your visit to these incredible Spanish islands. Want to explore more of Spain? Try the DK Eyewitness Travel Guide Spain.